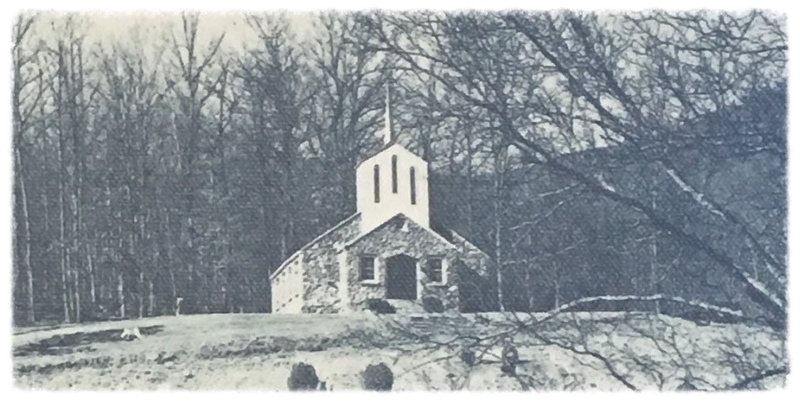 Mountain View is one of the oldest churches in Buncombe County. We are affiliated with the Southern Baptist Convention, the Baptist State Convention of NC, and the Buncombe Baptist Association. The original church, which was first named United Baptist Church of Christ, was established in 1828. Its location was on what was called "Wallace Pond" and was on the North Fork River itself, beside the wagon road to Mt. Mitchell. In 1889, the second church was built to the east of the river on a hillside. The name was changed to Mountain View Baptist Church. This structure burned in 1940, but was rebuilt of native stone on the same site. However, by 1951, the proposed Asheville Watershed threatened to put the church and cemetery under water. The church agreed to a new site overlooking the valley and high above water. All the grave sites had to be moved, along with the many unmarked graves that were also discovered. A building was erected on the new property using the stones from the old church. In 2004, a new sanctuary was built to accommodate a growing congregation. Mountain View is thankful for God's faithfulness past, present, and future. To Him be the Glory!